Nollywood actress Tonto Dikeh has said philanthropy is her passion and she emulated the character while an avid church member. In a chat with Rubbin’ Minds, the actress told show host Ebuka Obi-Uchendu that she was a devoted born again Christian before she ventured into the entertainment industry. She said: “Before I got into entertainment business I used to be so born again. I was a member of a church that was big on giving. I got that doctrine from there and I have been running with it for so long. 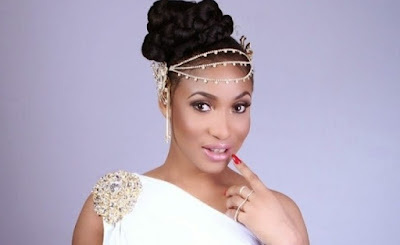 Dikeh once basked in sharing personal details of her life to the public. Now, the reverse is the case. She vehemently declined answering any questions that involved her personal life. However, she addressed how she felt when her estranged husband, Churchill Olakunle, controlled the narrative regarding their marriage. “At first it bothered me a lot, it was killing me,” she said. “But then I got to a point where I realized that nobody cares about me or the situation that happened in my home asides from me. “Everything that I’m doing out there is for their entertainment, nobody really cares about that. What I went through, I went through. I’m not about to validate my past pain to anybody. She said she doesn’t regret granting expose interviews on her marriage as this made other victims of domestic violence speak out. Notwithstanding, Dikeh said she still intends taking legal actions against her husband but won’t disclose the charges. “I have been trying to drag him to court. We are still in the process. It takes time,” she said.